We are spirits housed in a body, and just as houses can be haunted, so can people. When the living succumb to dissociative states of consciousness, they become a magnet for lost but clinging spirits. Known as jinn, dybbuk, daemon, wuqabi, or simply the undead, they hover unseen on the earth plane, ready to inhabit the most suitable body available. Documenting the life of wandering spirits and their impact on vulnerable human targets, Susan Martinez offers a radical departure from the standard psychological explanations for a host of pathological behaviors--including multiple personality, autism, epilepsy, migraines, obsessive compulsive disorder, depression, schizophrenia, anxiety, PTSD, self-destructive urges, and strange outbursts--and reveals that hallucinations are often true impressions of spirit input. Martinez explains how mental health comes down to the delicate balance between self-control and spirit-control. When trauma triggers an escape response, the soul takes flight, leaving the mind susceptible to possession by discarnate entities. However, the spirit world can also bestow gifts upon those whose psyches are open, such as in the case of mediums, shamans, people who communicate with angels, and many of the world’s creative geniuses. Martinez presents “overshadowing” by spirits as a universal, cross-cultural phenomenon, documenting modern and traditional accounts as well as corroborating indigenous beliefs. She examines soul decay, soul travel both before and after death, as well as how knowledge of the spirit world can offer positive treatments for disorders like schizophrenia and autism. Providing a detailed guide to the spirit world and its inhabitants, the author offers checklists of symptoms of “overshadowing,” methods from the world’s top exorcists, and instructions on how to free spirits so they can continue their journey into the beyond--all the tools necessary to forearm us against soul snatchers and other enemies of the Light. As you, dear reader, may well know, the Great Age of Spiritualism hit the ground running in America in the year 1848. In very little time, distinguished personalities, including Abraham Lincoln, were taking active interest in mediumistic circles. Sweeping the country like brushfire, the movement, nonetheless, drew as many detractors as proponents. John Dods, for one, thought he could explain the apparent manifestation of spirits in a purely materialist way. His book The Philosophy of Electrical Psychology met with great success, especially in the scientific community. In 1851, Daniel Webster, Sam Houston, and Henry Clay personally invited Mr. Dods to the capital to lecture on his ideas. Spirits, Dods explained in his talk, were not a reality; what we mistook for spirits were merely the body’s electrical emanations, produced for the most part by the operations of the brain. A few years later, though, Dods was disturbed by an unnerving experience, an apparition. Four spirits appeared before him, four relatives who were living in Norfolk, Virginia. They told him they had just passed into the spirit world, dead of yellow fever. When Dods later confirmed the fact, his unbelief was shaken. Over the next six months John Dods struggled with his unsettling experience, trying to convince himself that the vision had been some sort of psychological quirk. By early 1856 he gave up the fight and joined the ranks of the spiritualists, publicly embracing the immortality of the soul. Jehovih gave this sign to man on earth; which is to say: In the beginning of the light of dan’ha, the spirits of the newly dead shall have power to take upon themselves the semblance of corporeal [physical] bodies, and appear and talk face to face with mortals. Every three thousand years Jehovih gave this sign on earth. I think it follows that “energy,” like electricity, is an inadequate solution to such manifestations as show intelligence. Yet, one hundred and fifty years have done nothing to settle the debate. Even today’s parapsychologists--who should know better--tell us that “flying objects in a poltergeist situation, some of them huge and following elaborate patterns--are being thrown about by ‘psychic energy’ emanating from the ‘unconscious’ . . . Most incredible,” add Hunt and McMahon (116), “is the continued insistence of these skeptics that such amazing physical phenomena are caused by the subconscious release of a mental force innate within themselves.” Hauntings, it is still stubbornly argued, are not caused by any intelligence, but by energy which psychic-sensitives merely “interpret” as personalities. No, ghosts are not ghosts, but “some kind of psychic energy [italics mine] that has been imprinted on the atmosphere and can be picked up by certain people” (Underwood, 219). Just how this splendid magic is wrought is never explained. Nor are we given the slightest clue how “an impersonal bundle of violent psychic energy [italics mine]” could be “the fallout from an emotional explosion which may have occurred centuries ago” (Spraggett, 164). If this were any other field of study, these theorists would be drummed out for wild speculation and gross incompetence. Ghostly entities, in fact, exhibit not only intelligence but also cunning--as well as precise timing, showing up, as they so often do, on the anniversary of some pivotal event. How could we possibly call this an “impersonal” energy? I’ll tell you how: twaddle that it is, it is nonetheless the materialist’s last redoubt against the actual reality of ghosts. Ghost and earth-bound entities (EB for short) are inhabitants of neither heaven nor earth. Neither here nor there, they wander in darkness. It is not that unusual for money matters to hold a spirit back. Take a recent American case: A man dies. His wife cannot find his life insurance policy. The husband comes in a dream, revealing that the papers are in a strongbox in the attic. And that is just where she finds them. Sometimes it is only the deceased who can reveal a hiding place. After the death of Dante, it was realized that the thirteenth canto of his “Paradiso” was missing. Soon, the dead poet appeared to his son Pietro Alighieri and told him to remove a certain panel near the window of the room in which the poem was written. And there the missing canto was found, mildewed but legible. (Olcott, 99-100). "When I was initiated into the world of spiritualism, I was taught that protection was the most important thing when contacting disembodied spirits. I was also told that a majority of people in mental institutions might be there because they are “oppressed by negative entities." 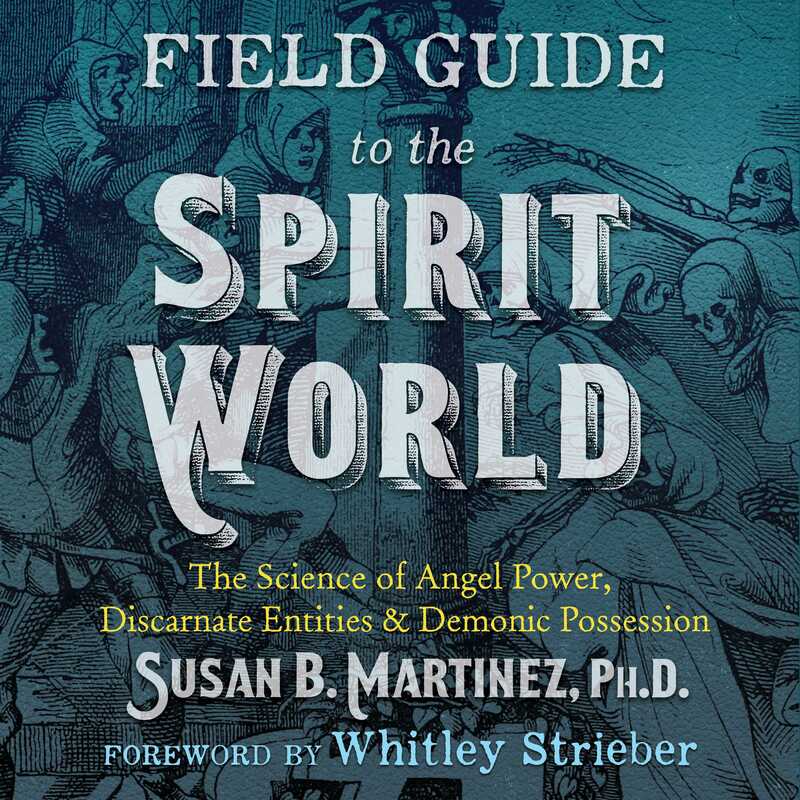 Now Susan Martinez, who has a doctorate in anthropology from Columbia University, has written this book about encounters in the spirit world that run the whole gamut from selfless helpers to those trapped by their attachment to the material world I am grateful to Susan Martinez for beginning the dialogue in such a knowledgeable and caring way."